The former 1954 motel owned by the Waldo County General Hospital will be demolished as hospital officials move forward with a plan to build a 20,000 square foot office structure on the property. 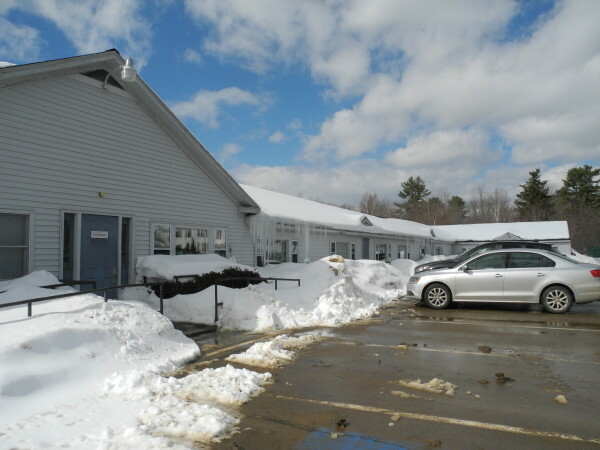 BELFAST, Maine — Plans are afoot for the Waldo County General Hospital to demolish an old motel on its property and build a 20,000 square foot office building there instead. The Belfast Planning Board last week at its regular meeting heard a little bit about the hospital’s intentions for 119 Northport Avenue from Mike Hogan of The Maine Group Architects. The lot in question is located across the street from the hospital. The 1954 motel structure, known as “the annex,” most recently has been used by the hospital as a training center while the medical facility moved toward a paperless record-keeping system. It also contains a couple of overnight rooms used by temporary doctors. “Whether or not the building is placed there, the motel is going to go,” Hogan said. He said the hospital will approach the board for a demolition permit sometime this month and that it may submit the application for the new building as early as April. Belfast City Planner Wayne Marshall asked the board to ask city staff to send letters to neighbors of 119 Northport Avenue, letting them know about the proposed building project.